It’s supposed to be one of the most memorable and magical times of your life, but deep down there’s bound to be something that you’d change about your wedding day if you could go back in time. If you’re set to tie the knot in 2016, you’ve probably already got everything planned. However, there’s still a lot that you can learn from couples who have been there and done it. Usually, it’s the little things that make all the difference, and we thought it’d be useful for married couples – who have the benefit of hindsight, of course – to share a few tips to ensure that your big day is perfect down to the tiniest details. 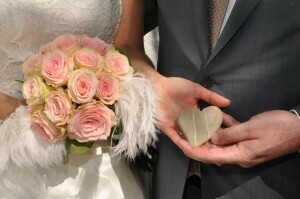 Even the most laidback and well-prepared bride will suffer pangs of anxiety in the weeks leading up to their wedding day. You really don’t want to be worrying about something as important as your dress as the clock ticks away. Rachel Attwell, Managing Director at Luella’s, said that before she became a boutique owner herself, she had no idea how long it took to get a dress ordered and this is a trap that many brides fall into, causing them undue stress. “The majority of weddings take place in the spring or summer so the designers are busy trying to get all of the dresses ready at the same time. It’s essentially a queuing system and even though you might order your dress in November, the designer might not be able to start working on it until February in order to have the dress ready for an early summer wedding,” she commented. By ensuring that your dress is made and altered way ahead of your wedding, you’ll have one less thing to worry about as the day approaches. With so much to sort out, it’s easy to forget about your first dance as a married couple. We took to Reddit to see what the online community would change about their weddings, and a lack of dancing prowess was something that cropped up a lot! We’re not saying you need to reach professional ballroom dancing standards, but remember that all eyes will be on you and your partner once the DJ or band play the first song, so you’ll want to demonstrate that you have at least a bit of rhythm. You might have the most beautiful wedding photo album in the world, but did you miss a trick by not recording some footage? Steph Oakes (pictured below) of hellobabyblog.co.uk seems to think so. In similar fashion to point one, leaving things until the last minute isn’t a great idea when it comes to your wedding rings. 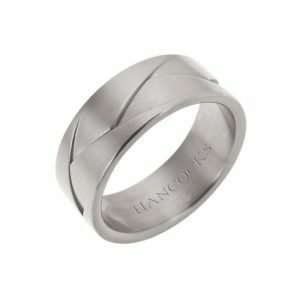 The band that you wear around your finger will be with you for the rest of your life (hopefully! ), so you should choose the best quality jewellery you can. This is certainly something that Lee Wagstaff, a 29-year-old Digital Marketing Executive from Salford, advises. He remarked: ”Weddings are expensive and it’s natural that people look for areas where they can make cutbacks. However, I’d suggest that you shouldn’t skimp on your wedding rings – after all, this is one of the only parts of the Wedding Day itself that stays with you for the long haul. You want your guests to talk about your wedding for years to come and, rightly or wrongly, the quality (and quantity) of the food on offer tends to be a major factor in how fondly they remember your big day. Always make sure that your guests don’t go too long without food. 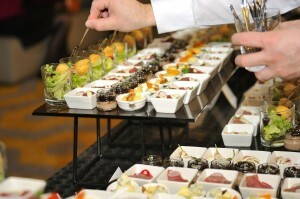 There will be parts of the day – when photographs are being taken and rooms are being re-organised by staff – where a bit of loitering is unavoidable, but a few appetisers being circulated on trays will help to keep everyone happy between the main meals. Without wishing to state the obvious, there’s lots to consider when planning a wedding, so much so that it is easy to forget about what is most important. Suzanne Deller, a PR specialist from Bolton, married her now husband Dave in December 2015, and she has urged others not to lose sight of what matters the most. “I think I’d forgotten in the run up to the wedding that the vows are the more important part of the day. We were so focused on the hubbub of organising the band, flowers, suits and dresses that the ceremony became a little overshadowed. Without a doubt it was my favourite part of the day, and I’m so glad we have our wedding bands as a constant reminder,” she commented. 7) Put yourselves first – it’s YOUR big day! As we’ve already mentioned, you want everybody to remember your wedding for a long time, so it’s only natural that you’ll want to pull out all the stops and make a huge impression. That being said, you mustn’t put other people’s happiness above your own. 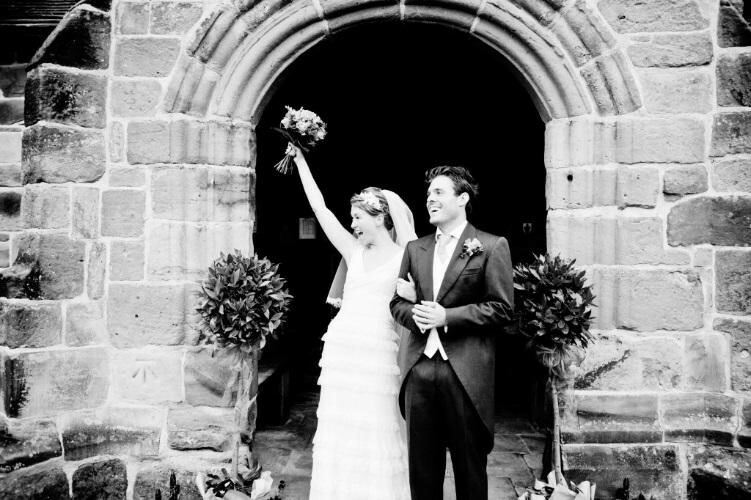 In 2013, Andy Roberts, a web developer from Greater Manchester, took the novel approach of having a 10-year wedding renewal, which allowed him to learn from the mistakes that he felt were made in the original ceremony and put them right. “The renewal was the best really – we kept control, did exactly what we wanted, got the church we wanted, when we wanted, ate where we wanted, didn’t invite the people we didn’t want there and in the end had a great party on our terms,” he said. Do these pearls of wisdom resonate with you? If you’re married and you had an opportunity to go back in time and change certain elements of your wedding day, what would you do differently?